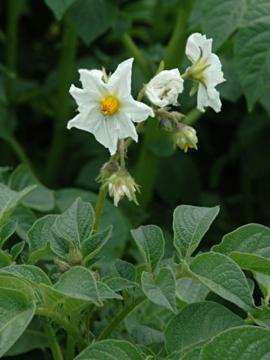 Second Early potato producing tubers with yellow skin and pale yellow, firm, dryish textured flesh. Culinary vegetable. Good for boiling, mashing, roasting and frying. Raised in the Netherlands, 1967.